Catch22 traces its history back to 1788, the beginning of the enlightenment. 230 years later this social business delivers a wide range of public services up and down the country. As a “cradle to career” organisation Catch22 supports children excluded from mainstream education, delivers justice services working in 24 prisons across the country, runs victim support services, supports children in need, and delivers employability and apprenticeship programmes. 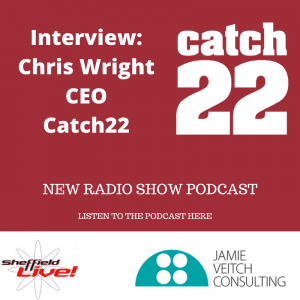 Chris Wright, CEO of Catch22, describes the need for a relationship-based (rather than transactional) approach to the outsourcing and delivery of public services in this podcast, which coincides with the NHS’s 70th anniversary. He covers Catch22’s own pivot from dependency on grants and ‘soft’ contracts to earning the majority of its income from ‘hard’ contracts. who should deliver public services nowadays, why – and how? his own career journey, approach to leadership and inspirations. Check out the Catch22 website. Chris is also featured within The Social Entrepreneur’s Guide to Winning Tenders.